Interesting overhead view of the Komet. It shows that this Komet carries no markings whatsoever at this point in time. A bit peculiar is the large cardboard sign on the left wing displaying a text that appears to be 'MESSERSCHMITT 163 KOMET'. 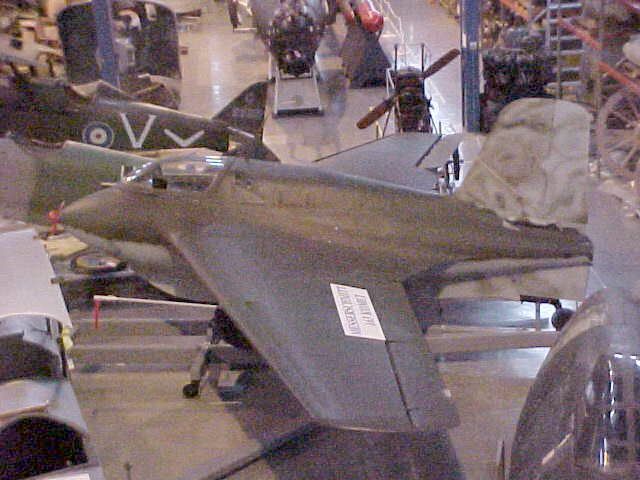 Tim Priest reported that the AWM's Me 262 is also visible in this photo, the front fuselage can be seen bottom right.